Is EdUHK a public university? 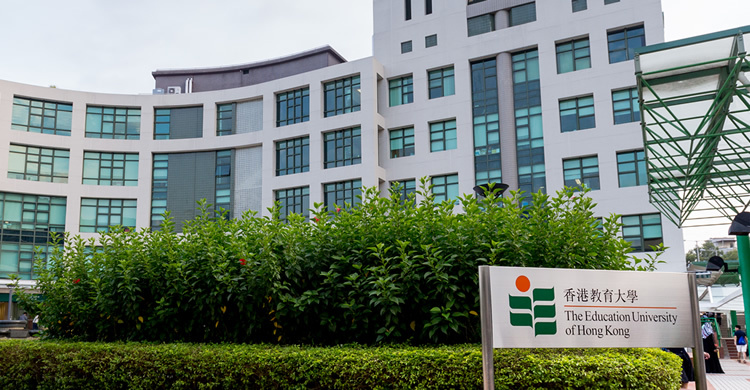 EdUHK is a unique publicly-funded tertiary institution in Hong Kong dedicated to the advancement of teaching and learning, through a diverse offering of academic and research programmes in teacher education and complementary social sciences and humanities disciplines. Are the qualifications awarded by EdUHK internationally recognised? Yes, all qualifications awarded by EdUHK are internationally recognised. What are the academic faculties offering undergraduate programmes in EdUHK? There are three faculties in EdUHK offering undergraduate programmes: Faculty of Liberal Arts and Social Sciences, Faculty of Education and Human Development and Faculty of Humanities. What are the differences between government-funded and self-financed undergraduate programmes? Government-funded undergraduate programmes represent academic programmes which are subsidized by the public funds. Self-financed undergraduate programmes represent those which are offered on a cost-recovery basis. That said, these programmes will not receive any government subsidy. Therefore, the fees on tuition, course-related activities, accommodation (if any), etc. would be different from that for government-funded programmes. What are the differences between teacher education and non-teacher education programmes? Undergraduate programmes offered by EdUHK can be classified as teacher education programmes (Bachelor of Education (BEd) progammes) or non-teacher education programmes. Bachelor of Education programmes are 5-years full-time programmes which aimed at training pre-service teachers who will be well equipped with in-depth major-related knowledge and professional teacher training. Graduates are eligible to become fully qualified and registered teachers in local kindergartens, primary or secondary schools in Hong Kong. Non-teacher education programmes are 4-years full-time undergradate programmes. EdUHK offers various Bachelor of Arts and Bachelor of Social Science programmes. Graduates who wish to join the teaching profession may choose to undertake the one-year full-time or two-year part-time Postgraduate Diploma in Education (PGDE) programmes in order to acquire the qualification for registering as qualified teachers. Do I need to attend admission interview(s) / test(s)? Shortlisted applicants may be required to attend an admission interview(s)/test(s) and they will be notified of the arrangement for interview and/or test by email. Most interviews are conducted on the phone or through electronic means such as Skype. Does EdUHK provide accommodation to international students? First-year on-campus accommodation will be provided for non-local students. Non-local undergraduate students enrolled government-funded programmes can choose either on-campus or off-campus accommodation in their subsequent years of study. Non-local undergraduate students of self-financed programmes in principle will have to arrange for their own accommodation in their subsequent years of study, the University will actively support these students to meet their accommodation needs. For more information, please visit SAO website. Can I take up part-time employment in Hong Kong? Under Immigration Ordinance, Cap 115, Laws of Hong Kong, international students on full-time locally accredited degree programmes and above do have opportunities to gain work experience in Hong Kong. They can take up study/curriculum-related internships approved by EdUHK, part-time employment on campus for not more than 17 hours per week throughout the year, summer jobs without any limit in relation to working hours and location. Are activities arranged for non-local students? Yes. Student Affairs Office (SAO) and Global Affairs Office (GAO) organise a series of orientation programmes at the start of each semester, and other cultural activities throughout the year. Non-local students are strongly recommended to join these events. How much are the tuition fees? Please click here for undergraduate programmes. Applicants admitted to a full-time undergraduate programme will automatically be considered for entrance scholarships. There is no need for you to submit a separate application for the scholarship. Is financial aid available for non-local students? Financial Aid is not available to international students. However, we do offer entrance scholarships for outstanding international students. Is there a clinic on campus? Yes. Medical services is available at the Health Centre on campus. Can I stay in Hong Kong for work after graduation? Yes. To encourage students to work in Hong Kong upon their graduation, the Immigration Arrangement for Non-local Graduates (IANG) allows non-local fresh graduates to stay in Hong Kong for 12 months after graduation without any restrictions to seek jobs. To learn more about the policy, please click here. How is the prospect of EdUHK graduates? Graduates of The Education University of Hong Kong (EdUHK) remain consistently competitive, as revealed by the University’s latest Graduate Employment Survey. For details, please refer to the University’s latest Graduate Employment Survey. What documents are needed for opening a bank account? If you are aged under 18, one of your parents/guardian in person and his/her valid identity proof is required. Is there a bank on campus? A branch of Bank of East Asia is located here and more than one automated teller machines (ATMs) can be found within our campus. There is no administration charge for opening a bank account at the campus branch.